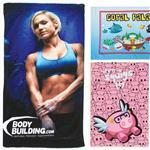 A large cooling sports towel with a full color custom imprint by Toddy Gear. 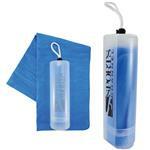 Promote brands while cooling with this action packed Toddy ICE Cooling Wrap 700 Series. 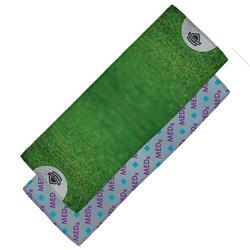 This cooling wrap provides a generous platform to showcase fully-customizable, full-color graphics that will never fade, leaving memorable brand impressions. This lightweight, durable, ultra-soft, and fast-acting accessory delivers a prolonged cooling experience while putting brands front and center. Activated in water, the reusable and machine washable Toddy ICE Cooling Wrap delivers immediate relief while beating the heat. Multi-purposed, this premium wrap is the perfect companion for workouts, sporting events, camping, concerts, and much more. 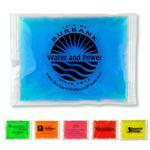 Offer a superior cooling experience with your brand for customers to absorb. Available Colors: Full Color End to End. Available in two convenient sizes, small 6x21 and large 12x32. Large size shown.